I finally got the Goodie Bag Lawn Cuts and the Snow Days Stamp set with Coordinating Lawn Fawn Cuts that I ordered. Oh..the Goodie bag is so adorable if you have not gotten yours yet. Lots of uses with this especially for holidays and non-holidays alike. I made this Goodie Bag for my daughter's friends to give out to her BFFs here is the sample :) I thought I'd share with you....really cute with those bunnies from Snow Days. This Goodie Bag is really easy to assemble, you can watch the video HERE. I used a white cardstock stamped and die-cut the images (bunnies, tree, & tiny heart) from Snow Days . 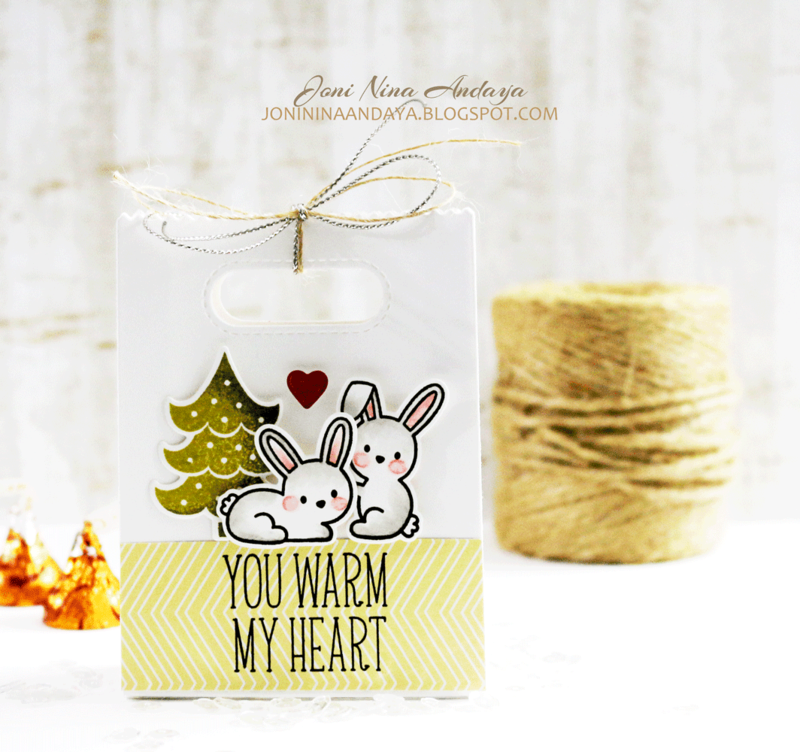 I then stamped the sentiment "You Warm My Heart" also from the Snow Days stamp set on a piece of MME cardstock and adhere on the bag. Fill in the bag with chocolates tie in some silver and natural twine on top then I am done. I hope you guys enjoyed this quick project share. Have a Gorgeous almost weekend kinda day. OMYGOSH!!! Those bunnies are ADORABLE!!!!!!!!!!!! This is absolutely AH-DORABLE! So cute! This is just darling Joni! What a darling darling card Joni! Very cute. I'm sure they'll love it. This is darling, Joni! 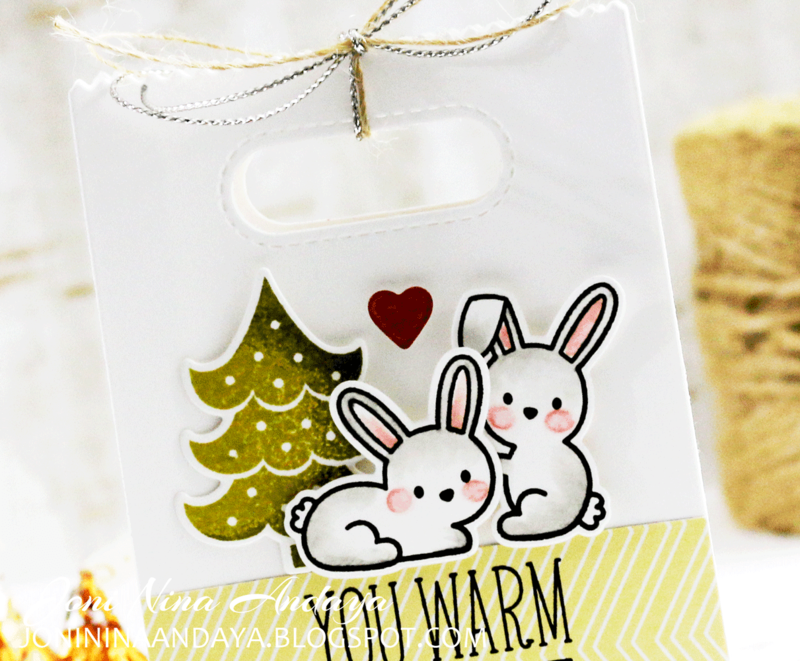 Never thought of bunnies with Christmas trees & it's so cute! What a sweet little bag! When the goody is gone, a wonderful keepsake! Would love to find some of that silver twine. Reverse Confetti - September Blog Hop! Tour of the Stars & Winner!